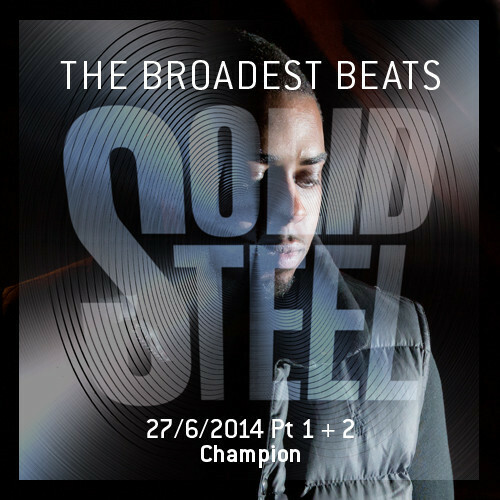 “Solid Steel (27th June) Champion drops by this week in Hour 1 with a heavy mix packed full of exclusives for Solid Steel and a bunch of his favourite tracks at the moment. There is 12 exclusive unreleased Champion tracks that include remixes and collaborations, but we kick off with his track for the recent Hyperdub compilation and into his remix for Flava D which is forthcoming on his own Formula record label. Then it’s his fantastic remix of Kool FM for Four Tet, followed by his collaborations with Mele, Jus Now, Dismantle and music from Distro, Roska, DJ Q, Terror Danjah, Nativ and Mickey Pearce. All this and more plus tracks from his new Execution EP which is out on June 30th on Skrillex’s new label Nest HQ.